My daughter, I need to seek some security for you, so that it may be well with you. Now here is our kinsman Boaz, with whose young women you have been working. See, he is winnowing barley tonight at the threshing floor. Now wash and anoint yourself, and put on your best clothes and go down to the threshing floor; but do not make yourself known to the man until he has finished eating and drinking. When he lies down, observe the place where he lies; then, go and uncover his feet and lie down; and he will tell you what to do. All that you tell me I will do. Blessed be the LORD, who has not left you this day without next-of-kin; and may his name be renowned in Israel! He shall be to you a restorer of life and a nourisher of your old age; for your daughter-in-law who loves you, who is more to you than seven sons, has borne him. A son has been born to Naomi. They named him Obed; he became the father of Jesse, the father of David. 6 Happy is the man who has his quiver full of them! Go at once to Zarephath of Sidon, and stay there; I have designated a widow there to feed you. Please bring me a little water in your pitcher, and let me drink. Please bring along a piece of bread for me. As the LORD your God lives, I have nothing baked, nothing but a handful of flour in a jar and a little oil in a jug. I am just gathering a couple of sticks, s that I can go home and prepare it for me and my son; we shall eat it and then we shall die. Don’t be afraid. Go and do as you have said; but first make me a small cake from what you have there, and bring it out to me; then make some for yourself and your son. For thus says the LORD, the God of Israel: The jar of flour shall not give out and the jug oil shall not fail until the day that the LORD sends rain upon the ground. She went and did as Elijah had spoken, and she and he and her household had food for a long time. The jar of flour did not give out, nor did the jug of oil fail, just as the LORD had spoken through Elijah. for there is not help in them. 4 Happy are they who have the God of Jacob for their help! who keeps his promise for ever. the LORD lifts up those who are bowed down. but frustrates the way of the wicked! For Christ has entered , not into a sanctuary made with hands, a copy of the true one, but into heaven itself, now to appear in the presence of God on our behalf. Nor was it to offer himself repeatedly, as the high priest enters the Holy Place yearly with blood not his own; for then he would have had to suffer repeatedly since the foundation of the world. But as it is, he has appeared once for all for the end of the age to put away sin by the sacrifice of himself. And just as it is appointed for men to die once, and after that comes judgment, so Christ, having been offered once to bear the sins of many, will appear a second time, not to deal with sin but to save those who are eagerly awaiting him. Beware of the scribes, who love to walk up and down in long robes and be greeted respectfully in the street, and to have the chief seats in synagogues and places of honour at feasts. Those who eat up the property of widows, while for appearance’s sake they say long prayers, will receive a sentence all the more severe. Truly I tell you: this poor widow has given more than all those giving to the treasury; for the others who have given had more than enough, but she, with less than enough, has given all that she had to live on. Widows were among the most vulnerable members of society in Biblical times. Their societies, being patriarchal, placed most women in subservient and economically dependent statuses. A widow needed a man–perhaps her son or another relative–to care for her. This Sunday we read two stories of God providing for widows, whether via a man or a direct miracle. And, in Mark 12, a widow pays an offering she cannot afford. I have covered that story in a post (a link to which I have provided) already. So, with a minimum of repetition, I propose that Jesus probably lamented her sacrifice. That should have been food money, not an offering the Temple authorities would not have missed. I hope that God provided for that faithful widow. Consider the scene from Mark 12. It was Holy Week, so Jesus was a few days away from dying, something he had to do. The widow did something she thought she had to do because the religious authorities said so. Yet it was unnecessary, and she did need to eat. The major difference between the two sacrifices I choose to emphasize now is that our Lord’s sacrifice was necessary; the widow’s was not. Yet they shared a common factor: Temple authorities played large role in both of them. May we read these stories, digest them, and inwardly digest them. Accordingly, may we help the vulnerable, as we are able, and refrain from imposing needless burdens upon others. Remember your leaders, those who spoke to you the word of God; consider the outcome of their life, and imitate their faith. Jesus Christ is the same yesterday and today and for ever. John the Baptist has been raised from the dead; that is why these powers are at work in him. It is a prophet, like one of the prophets of old. John, whom I beheaded, has been raised. Ask me for whatever you wish, and I will grant it. Whatever you ask me, I will give you, even half of my kingdom. I want you to give me at once the head of John the Baptist on a platter. And the king was exceedingly sorry; but because of his oaths and his guests he did not want to break his word to her. And immediately the king sent a soldier of the guard and gave orders to bring his head. He went and beheaded him in the prison, and brought his head on a platter, and gave it to the girl; and the girl gave it to her mother. When his disciples heard of it, they came and took his body, and laid it in a tomb. The reading from Hebrews is pleasant enough. It contains sage advice on how we can live together harmoniously in society before it makes the famous statement about the unchanging nature of Christ. The portion of the psalm is pleasant, also, reinforcing the excerpt from Hebrews. Then we arrive at the Gospel reading, which tells of disturbing events. 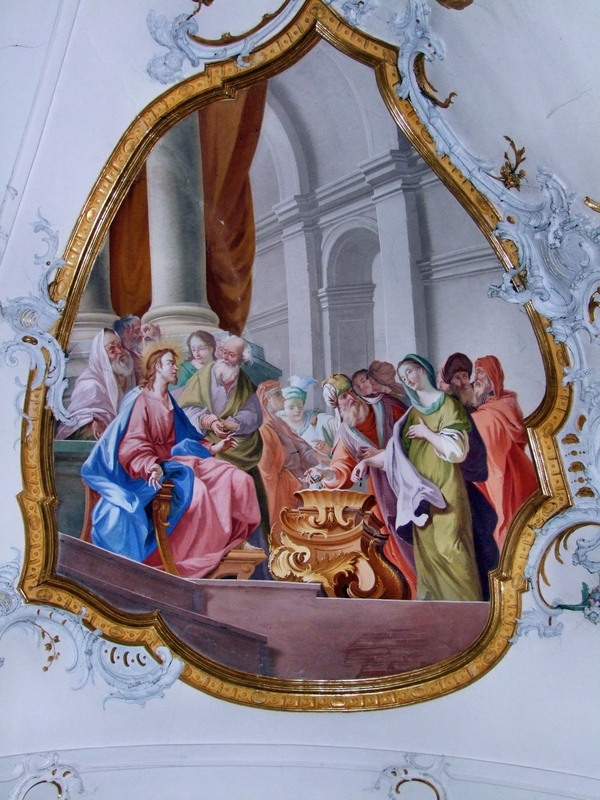 The author of Mark has framed the execution of St. John the Baptist as a flashback. The present day of the reading has Herod Antipas, the Roman client ruler of the Galilee, hearing about the wonders of Jesus and thinking that St. John the Baptist, whom he has had killed, has risen from the dead. The flashback part of the story tells of how Herod Antipas had married Herodias, the niece of his late half-brother, Alexander, and former wife of his brother, Philip Herod I. (Think then, what that makes Salome, the daughter of Herodias, in relation to Herod Antipas, other than daughter-in-law.) St. John the Baptist is in prison for speaking the truth, which is that this marriage is incestuous. Herodias is spiteful and capable of murder; Herod Antipas, who leers erotically at Salome’s dancing, is more concerned with notions of public honor than sparing a life; and Salome seems to be a willing pawn in her mother’s plot. I wonder how much better events would have played out had Herodias, Salome, and Herod Antipas lived in accordance with the advice in Hebrews 13:1-8. That text did not exist at the time, but the principles did. The text of Psalm 27 says that God protects the faithful, but St. John the Baptist died the way he did. What are we supposed to make of this? The theology in some of the psalms is overly simplistic, if not optimistic, in places: God will protect the faithful, the righteous will prosper, and the evil will meet their doom. But have you looked around the world recently or read history? Liars and cheaters win, courts convict both the innocent and the guilty, both the righteous and the unrighteous prosper and stumble, and dictators execute political prisoners. Perhaps the most generous assessment of some of the theology of Psalms (and Proverbs) is that it is true in the long term, perhaps even the afterlife. Back in this life, meanwhile, evil wins much of the time. Consider the cases of jailed civil rights activists in the Deep South of the United States in the 1960s. These were nonviolent people who challenged the racial status quo. For their troubles local authorities arrested and jailed them. Without resorting to unpleasant and graphic details, I assure you, O reader, that Southern jails, especially in Mississippi, were hellholes and places where guards delighted in humiliating these brave men and women. Yet faith lifted the spirits of these incarcerated activists. Many prisoners sang so much and so happily that they irritated and angered those who had jailed them. They were incarcerated, yet they were free because they chose to be free and because they tapped into their deep faith. Archbishop Desmond Tutu, who has retired recently from public life, tells the story of a Nazi guard and a Jew during the Holocaust. The guard was forcing the Jew to clean an especially disgusting toilet. the guard asked the Jew. 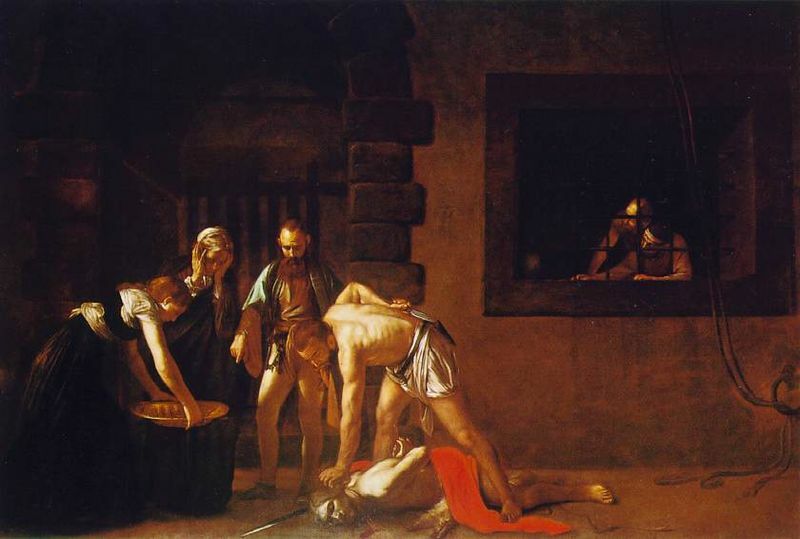 Where was God when St. John the Baptist was languishing in prison and as he died? God was with the saint. And where was God when the guards raped and humiliated civil rights activists during the 1960s? God was with the activists. Jesus said that many would suffer for the sake of righteousness, but that they would not be alone. This promise holds true today, despite any appearances to the contrary.